In the last week, I've received calls from Bill Clinton and Clint Eastwood. Well, not really. They were robocalls -- defined by Wikipedia as "phone calls that use a computerized autodialer to deliver a prerecorded message, as if from a robot, hence the name." Clinton's voice was part of a message urging me to support a Michigan ballot proposal to amend the state's constitution to include collective bargaining. And, of course, Eastwood's voice was urging me to vote for Mitt Romney. The phone has been ringing often this election season with similar calls for support of candidates and issues. Others are negative in nature. One thing's for sure, the volume of the calls has increased since the last presidential election in 2008 and the midterm election of 2010. And it looks like political robocalls are here to stay. They are exempt from the National Do Not Call Registry, along with charities, because they do not fit the Federal Trade Commission's definition of "telemarketing." 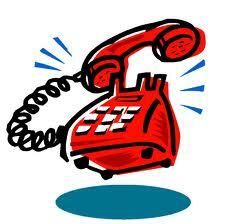 However, these calls are regulated by the Telephone Consumer Protection Act of 1991. This federal law requires all telephone calls using prerecorded messages to identify who is initiating the calls and include a telephone number or address where the initiator can be reached. A few states have their own guidelines for robocalls, although Michigan is not among them. In California, a person must come on the line before the recording to identify the nature of the call and the organization behind it. Additionally, the recipient of the call must consent to the recording being played, and the call must be disconnected from the telephone line as soon as the message is over or the recipient hangs up, whichever comes first. In Indiana, the introduction of the prerecorded message must be made by a live operator and the message may only be played with the recipient's consent. 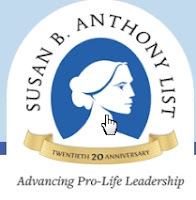 One of the most disturbing robocalls I received came from the Susan B. Anthony List, a group that, according to its website, is, "dedicated to electing candidates and pursuing policies that will reduce and ultimately end abortion." The group endorses pro-life candidates, including two from Michigan: Pete Hoekstra (R), who is running for the senate, and Candice Miller (R), who is running for congress. The voice of Sen. Fred Thompson (R-Tennessee, 1994-2003.) asked for my vote on behalf of "thousands and thousands of children who have not yet been born." He called President Obama the "most pro- abortion president we've ever had" and went on to say, "if he's reelected, more babies will never be born." "If you value human life," the senator said, "you need to cast your vote against Barack Obama and vote for Mitt Romney." The truth of the matter is that President Obama trusts women to make their own decisions when it comes to their reproductive health, and has said so. As for Susan B. Anthony, she opposed abortion in her day because conditions made it a dangerous, if not deadly, procedure for women to undergo. In those days, her concerns -- for the health and safety of women -- were legitimate. Of course, this issue of abortion has been divisive even among feminists. But, we can only speculate as to how Anthony might view abortion in its modern legal and medical context. I also wonder how Anthony would feel about having her name associated with an organization with such extreme views, not to mention its invasive tactics. Detroit Free Press columnist Brian Dickerson exposes how Michigan's Right to Life is Working to make pro-choice voters irrelevant.